Monday, December 3 from 7:30 p.m. until 9:00 p.m. In the wake of its riveting audio documentary on Hideo Nomo’s trailblazing journey from NPB to MLB, ESPN’s 30 for 30 Podcasts is pleased to present a live discussion on Nomo’s legacy. 30 for 30’s Jody Avirgan will host a panel with producer Andrew Muscato (The Zen of Bobby V), Jean Afterman (Nomo’s former lawyer and current Assistant General Manager for the New York Yankees) and special guests. 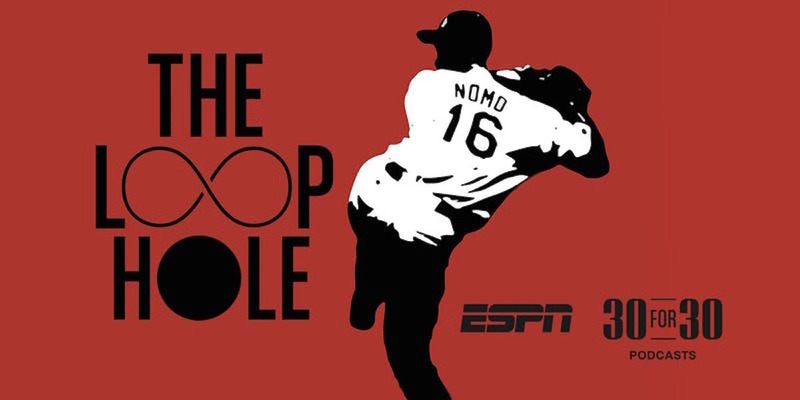 “The Loophole” from 30 for 30 Podcasts explores Nomo’s 1995 attempt to do what no Japanese player had done in 30 years: join Major League Baseball. Putting his career on the line, Nomo and his agent hatched a plan to overcome the legal and cultural barriers that stood in the way. This audio documentary reveals how they pulled it off, launched “Nomo-mania,” and transformed both American and Japanese baseball forever. You can listen to the episode here. There will be a pre-show reception from 7:30 p.m. until 8:00 p.m. with complimentary snacks and drinks, as well as an opportunity for audience Q&A with the panelists. For more information and to purchase tickets, please visit the 30 for 30 Podcasts Eventbrite page.